Jeanefer was the choreographer for the film Mass Bolero (2014), a tribute to Jayne Torvill & Christopher Dean, which marked 30 years since their Olympic triumph in Sarajevo. Jeanefer worked with hundreds of local people from Nottingham and Nottinghamshire, to create a mass choreographed version of the Bolero. Featuring cameo appearances from Chris and Jayne themselves, the Mass Bolero film was conceived and directed by Fiona Buffini, Associate Director of Nottingham Playhouse, in partnership with Dance4, Confetti Media Group and Spool. The film was premiered at Nottingham Playhouse and broadcast on the new Nottingham TV Channel. See below for the Mass Bolero film. Following the success of the film Mass Bolero, Jeanefer returned to Nottingham to create a Live Bolero performance in 2014. 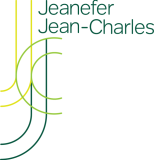 Jeanefer worked with professional dancers and hundreds of people from all walks of life, including bus drivers, gym enthusiasts, and office workers, harnessing their communal passion for dance. The live performance took place during the Big Dance weekend, transforming Nottingham’s iconic Market Square into an unexpected stage for this spectacular tribute to Bolero. To reach a wider demographic, the team also created an online tutorial film to engage a global audience, enabling viewers from across the world to learn the routine and take part. I just wanted to say how much I enjoyed this. When I went home to Nottingham last week my mum was raving about it and of course it has been round the whole family. Then I discovered it was your work and it made complete sense. I think it is inspirational and such a great way to lift the spirits of a city where people are in need of a boost. Keep up the good work.